Avi Avital and Mahan Esfahani's recital of music for mandolin and harpsichord at the Wigmore Hall on 18 February 2016 was remarkably wide ranging. Not only was there music by Vivaldi (his Trio Sonata in G minor RV85 and Esfahani's arrangement of the Concerto for two violins in A minor, Op3 No. 8 RV522) and Bach (Violin Sonata No. 6 in G BWV1019), but there was Domenico Scarlatti's Sonata in G K91, as well as the Improvised Poem for solo mandolin by the Japanese composer Yasu Kuwahara, Recitative and Toccata Percossa for solo harpsichord by the American composer Mel Powell, and Sonata a tre for mandolin, guitar and harpsichord by the Israeli composer Paul Ben-Haim, for which Avital and Esfahani were joined by the guitarist Sean Shibe. Vivaldi's Trio Sonata in G minor RV85 was originally written for violin, lute and basso continuo, with the violin and lute parts shadowing each other an octave apart. Here the sonata was played by mandolin (Avi Avital) and harpsichord (Mahan Esfahani) demonstrating the interesting combinations of timbres and textures which the two instruments can create. The opening Andante molto was elegant yet vivacious, with some nifty finger-work from Avital. The lovely Larghetto surprised with the amount of lyricism achievable by two instruments without a natural legato. The two performers took the final Allegro at quite a lick, making it lively with some bravura mandolin playing from Avital. Domenico Scarlatti's Sonata in G K91 was written for an instrument and basso continuo, and Avital feels that the instrumental writing suits the mandolin exactly. It is from a group of sonatas originally thought to be for solo harpsichord. The opening Grave was elegant with a rich harmonic texture, whilst the following Allegro was crisp and lively with some nice rhythmic pointing. The second Grave was a gentle piece, and the Allegro finale was very busy, with a strong sense of Spanish dance rhythms. A movement recognisable from its solo harpsichord incarnation, Avital and Esfahani made it great fun. Reading the programme notes it came as a surprise that the mandolin was so popular in Japan. In the early 20th century a group of mandolin virtuosi from Italy travelled to Japan and the instrument really took off. There are now 150 mandolin orchestras in Tokyo (! ), and a flourishing local tradition of composing fusing Western and Japanese ideas. Yasu Kuwahara (1946-2003) led a mandolin orchestra in Kobe, his Improvised poem really pushed the envelope with the instrument as it mixed jagged chords with fast repeated notes in a high energy mix which was non-Western in its tonality. Eventually the music calmed down, to create something evocative and rather intriguing. And Avital's playing was simply brilliant. In his introduction to the final item in the first half, Mahan Esfahani's own arrangement of Vivaldi's Concerto for two violins in A minor, Op3 No. 8 RV522, Mahan Esfahani described himself as a 'failed composer' but he still enjoys transcribing things. The concerto was chosen by Esfahani and Avital in their quest to expand the repertoire. The opening Allegro was joyfully toe-tapping with some nicely delicate moments, and there was a great sense of interplay between Avital and Esfahani. The Larghetto e spiritoso worked remarkably well, with the interaction between the two different timbres, whilst in the Allegro finale the dance element came to the fore. After the interval the two opened with a transcription of Bach's Violin sonata No. 6 in G BWV1019. It is curious piece, which Bach revised a number of times and in its final form the central Allegro is a huge movement for harpsichord solo! The elegant busy-ness of the opening Allegro was full of vitality and verve, and a real sense of joint enjoyment from the players. In the Largo we again got a sense of the strong interaction between Avital and Esfahani, with moments where the mandolin and the harpsichord right hand intertwine in dialogue, accompanied by the harpsichord left hand. The central Allegro for harpsichord only was a large scale, spirited movement, followed by a spare Adagio and an Allegro finale notable for its sense of joy and excitement. 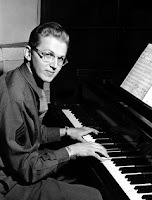 Mel Powell (1923-1998) was a highly talented jazz-pianist, playing with Benny Goodman, who changed course in his 20's and went to study with Paul Hindemith at Yale. His Recitative and Toccata percossa for solo harpsichord was written in 1951 and is redolent of the neo-classical music written by Hindemith himself, but also the sense of optimism in the future that characterised much of American society at the time. Esfahani said of the piece that 'I hear the America that might have been'. The style of the whole piece was strongly neo-classical but with some attractively spiky elements in the harmony. The opening Recitative was full of rich timbres, but with a skittish element mixed in to the neo-classical form. The toccata was a real high energy piece, yet still with easings off in the tempo and a sense of skittishness in not adhering completely to the form. Paul Ben-Haim (1897-1984) was a German Jew who fled Germany in the 1930's to settle in what was then Palestine and become one of Israel's major composers, including Yemenite and Ashkenazy folk idioms in his music. 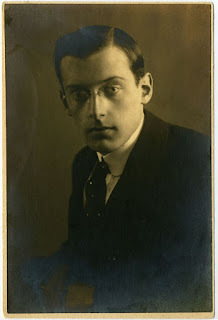 I know of his work mainly through pieces like his choral arrangements of Ladino songs. The Sonata a tre for mandolin, guitar and harpsichord dates from 1968 and was never published. Avi Avital reconstructed the piece from Ben-Haim's manuscript whilst a student at the Jerusalem Academy of Music and Dance and for this performance had returned to the work and re-worked his edition. His spoken introduction he said that the fact that he now spoke German had been a great help as Ben-Haim's manuscript was full of comments in his native German. Avi Avital and Mahan Esfahani were joined by the young Scottish guitarist Sean Shibe. The work opened with an Allegro aquento which was full of energy and striking chords. Though neo-classical in feel, there were also Spanish elements along with hints of the middle-eastern and Jewish musical elements which Ben-Haim used. The contemplative Lentamente recitando started with a guitar solo, joined first by mandolin and then harpsichord, with a sense of dialogue developing the music into something rather intense. The final movement started with dark and intense chromatic material on the guitar, before the mandolin joined and upped the energy elevel. The three instruments interacted in ways which created fascinating patterns and textures, before the opening material returned and the movement gradually unwound. A fascinating and rather intriguing piece. With its fascinating traversal of the eras, the recital provided a lovely mixture of works for mandolin and harpsichord with some fine discoveries from the 20th century. But what was really noticeable was the sense of excitement and joy in music making which Avi Avital and Mahan Esfahani brought to each piece. They have a musical partnership which is irrepressible, and the vivacity of their joint playing came through in every bar. We were treated to an encore, a sonatina for mandolin and harpsichord written by the 20 year old Beethoven when he was smitten by a young female mandolin player.